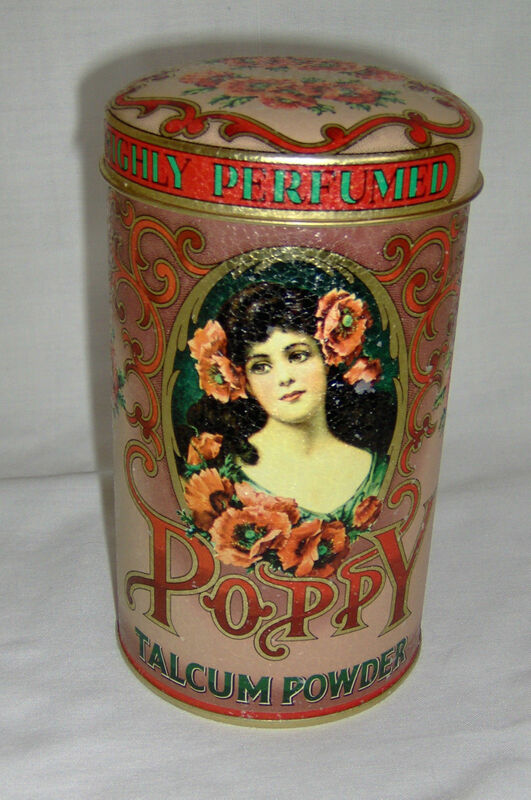 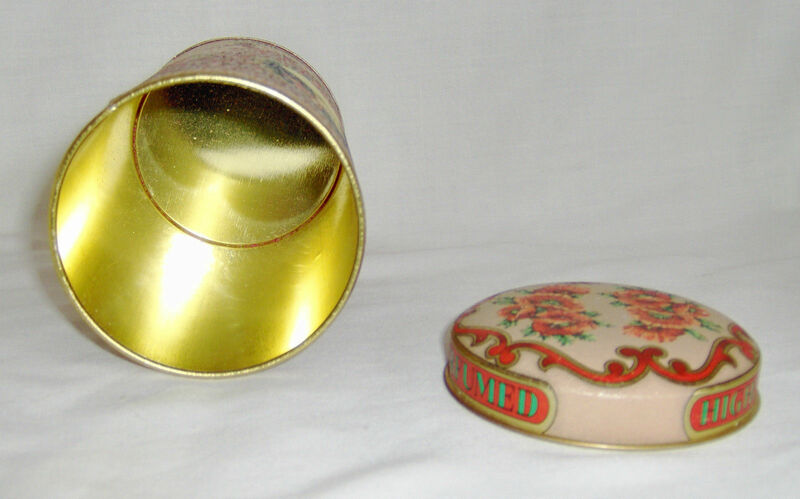 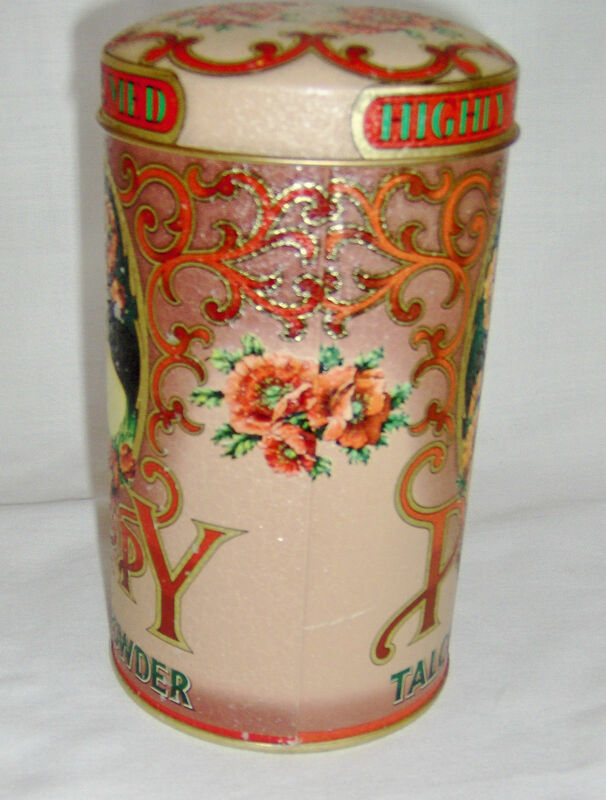 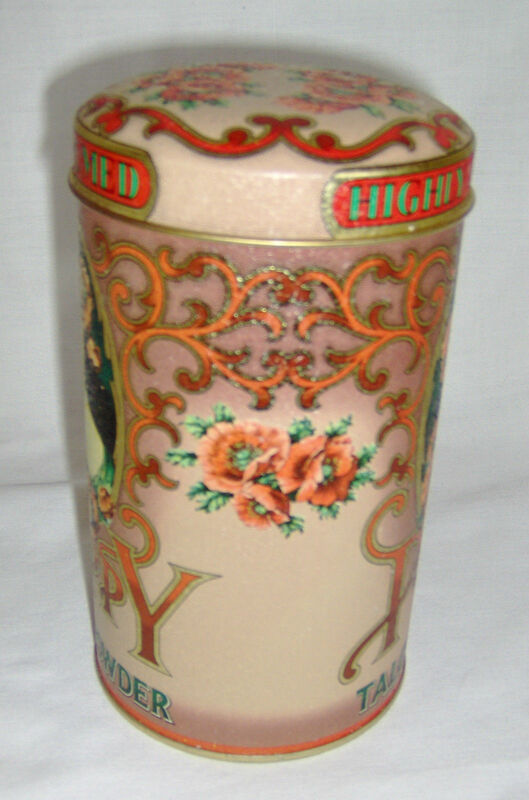 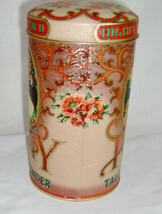 Poppy Talcum Powder Collector Tin Type: Collector Tin Theme: Poppy Talcum Powder Material: Tin Color: Multi Colored Age: Retro Height: Approximately 6 inches Diameter: Approximately 3.5 inches Weight: 113 grams Condition: Used. 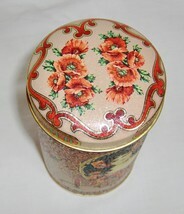 There's one scratch beside the seam and a partially removed sticky label on the inside of the lid. Inventory: DS.K1 Terms Of Sale I ship within 1 business day of receiving payment. Although most items arrive within a week or two; please allow 2 - 5 weeks for delivery if you live outside of Canada as the item will have to clear Customs. 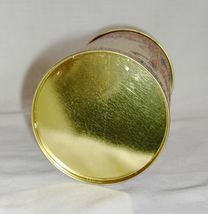 If you are unhappy with your purchase for any reason, I will gladly refund your purchase price [minus my shipping cost] You must return the item within one week of receiving it and you must pay your own return shipping. In an effort to 'Go Green' and to save on shipping costs I manufacture, recycle and reuse envelopes and packing materials where ever possible.